Tsukihoshi Uppers - All Tsukihoshi Kids uppers are machine washable for easy cleaning! Tsukihoshi Toes - Free Your Toes - Generous forefoot construction allows toes to splay naturally for superior balance and comfort. It is recommended that you order a half size down for this item. If your child is a size 10, you would order a size 9.5. Sleek and sporty, these handsome sneakers are sure to help him step onto the playground in confidence. Please keep in mind that Tsukihoshi&amp#174 shoes run wider than normal medium width shoes. Machine-washable synthetic leather and nylon mesh upper. Ultralightweight design. Large hook-and-loop closure and elastic laces for easy on and off. Firm Heel Counters to support active feet. Breathable textile lining and a Green Tea-infused, antibacterial removable insole. 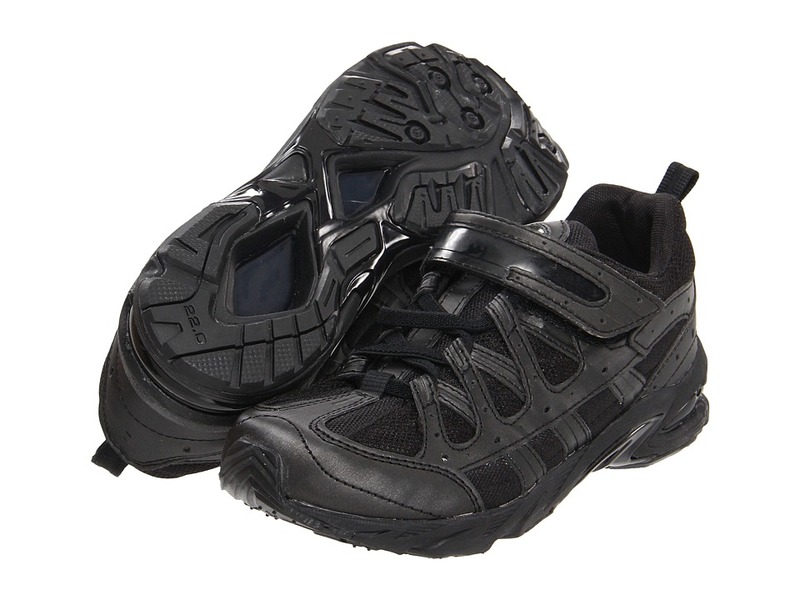 Features rubber Flex-Joint Outsole, which allows foot to bend properly. Imported. Measurements: Weight: 7 oz Product measurements were taken using size 2 Little Kid, width M. Please note that measurements may vary by size. Weight of footwear is based on a single item, not a pair.